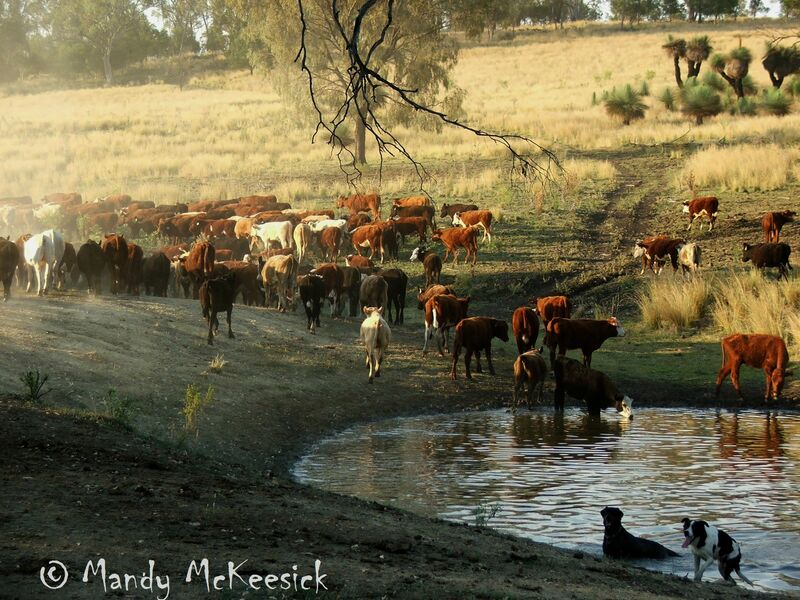 You’ve all been reading for a while now and getting to know the farm so I thought it was high time to take you on a Rocky Springs muster. 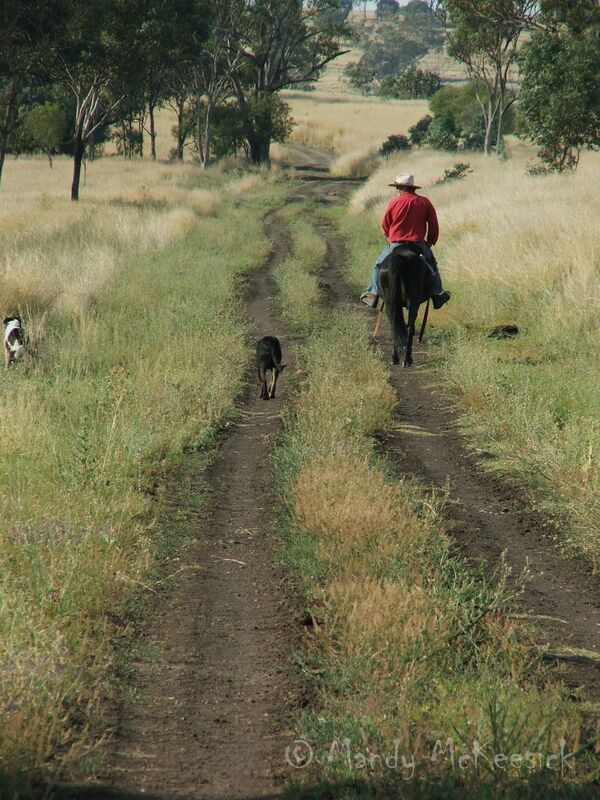 It’s an early start and I am on the quad bike armed with a camera and tailing the mob, which Brian and Cobey have gathered in Creek Paddock. Horse and rider watch as the weaners (young cattle) funnel through a gate to Lake Paddock (we don’t actually have a lake – it is just a dam; a little dam; a dam that sometimes holds water). 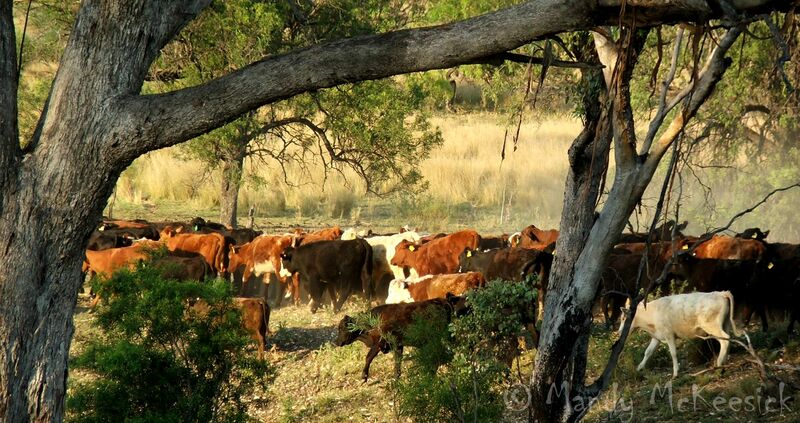 and they wander off through the native box and boonary trees. and then Brian and Cobey block the lead and settle the animals in Tank Paddock. And before you know it, everyone is happy and the job is done. It is 8.30am and time to knock off for breakfast. Now if only every muster in my life had been this easy. 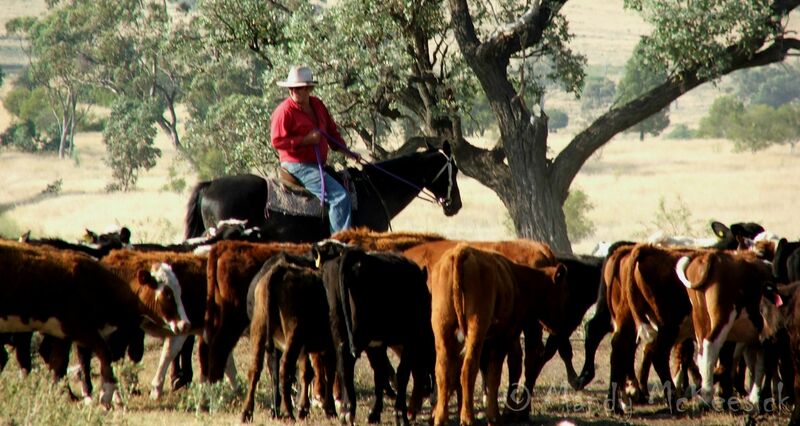 This entry was posted in All in a Day's Work and tagged agriculture, cattle farming, cattle muster, farm life, rural Australia. Bookmark the permalink. The photos are beautiful, and I love these views into the countryside, and the lives of the people there. Cobey sounds a bit like my old horse Brimstone, a Quarter horse / Thoroughbred cross. Brimstone snuck up on my mother once, and pushed her into the manure pile when she emptied the manure cart. Mom was taking care of him when I had a broken leg. She was pretty mad when she got back from the barn… He liked to sneak up on people, especially neighborhood kids who took shortcuts through his field. Brimstone and Cobey would have made a wicked pair. Cobey’s favourite trick is to pinch sandwiches.